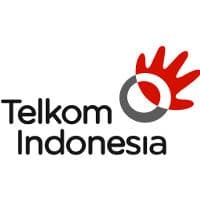 Telkom Indonesia has signed a memorandum of understanding with Sony to develop an NFC platform based on Sony’s FeliCa technology that will let consumers in Indonesia use NFC mobile phones, smartcards and other devices for payments, rewards, access control and transit ticketing. “The two companies have agreed to collaborate on the development of the NFC common platform, which will serve as a secure all-in-one solution platform for service providers,” Sony says.“With smartcards, customers will be able to use their cards, mobile phones and devices of other shapes and sizes at various locales, such as public transport stations, retail locations and schools. “We will work hard to make a positive contribution to and enhance the solutions that Telkom Indonesia provides using Sony’s FeliCa technology,” adds Kazuyuki Sakamoto, senior general manager at Sony’s FeliCa business division.